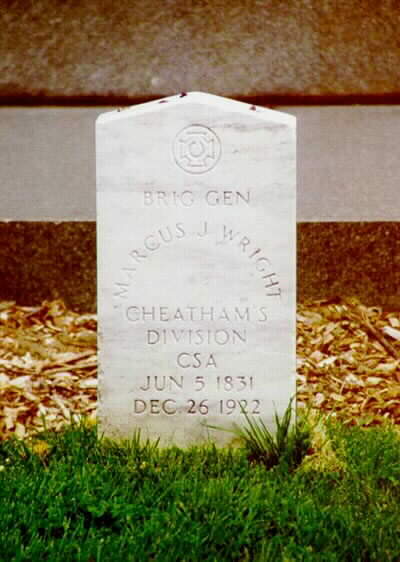 Marcus Joseph Wright, aged 91, who held the rank of Brigadier General in the Confederate Army, died December 26, 1922 at his home in Washington, D.C. He was the author of a number of histories and memoirs of the South. Since 1878 he had been an agent for the War Department for the collection of military papers. "He was born at Purdy, Tennessee, and had practiced law in that State. 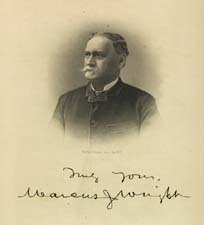 He was one of the foremost writers on the Confederate side of the Civil War, and had contributed fifty sketches of Southern commanders to Appleton's Cyclopedia of American Biography. With General A. L. Long, he prepared "Memoirs of Robert E. Lee," and has written half a dozen other books dealing with United States Military history." He is one of only two Confederate General Officers to be buried in Arlington National Cemetery, the other being Joseph Wheeler. March Joseph Wright (1831-1922) was a native of Purdy, McNairy County, Tennessee. 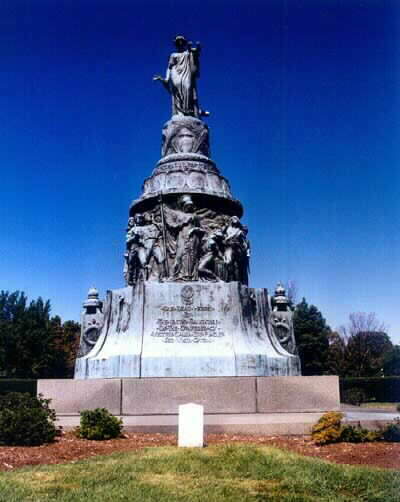 He was a lawyer, clerk of court, and sheriff in Memphis before serving in the Confederate army, where he was assistant adjutant general on Cheatham's staff, regiment commander, military governor, brigade commander, and post commander. He also served as brigadier general. In 1878, Wright was appointed agent of the United States War Department charged with collecting and compiling official Confederate army records. He served in this post for thirty years. Wright was married twice. His first wife was Martha Spencer Elcan Wright (d. 1875), daughter of Spencer and Martha Bolling Elcan. 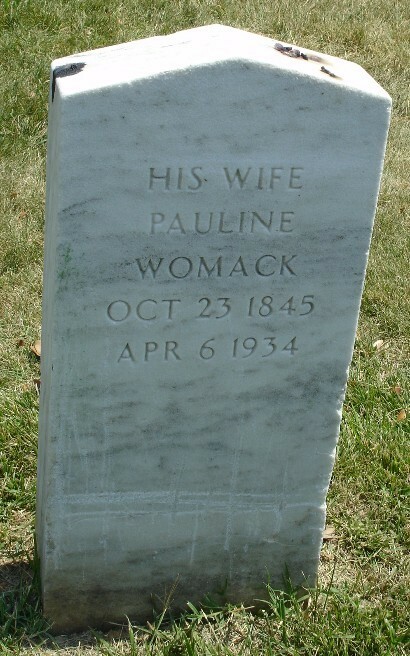 His second wife was Pauline Womack Wright, daughter of John W. (fl. 1831-1860) and Ann M. Beville (or Bevill) Womack. 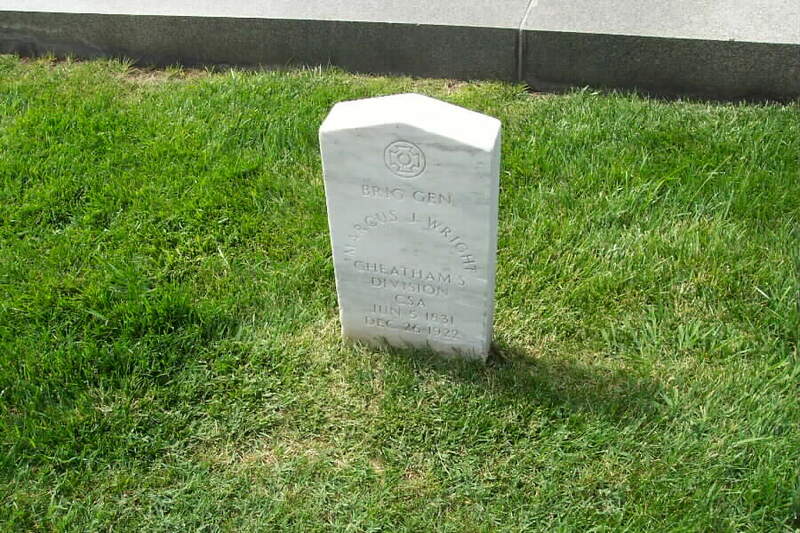 Wright had at least two sons, Howard P. (fl. 1929-1947) and John W.
Marcus Joseph Wright's second father-in-law was John W. Womack, who had migrated from Butler County, Ala., to Greene County, Ala., by 1840. A planter and lawyer, he served from 1831 to about 1837 in the Alabama General Assembly. Jacob Lewis Womack (b. 1806? ), his brother, also a planter, resided in Butler County, despite frequent urging from John to move to Green County.